Cisco has bought software company Cloupia for $125m, making it the networking giant’s eighth acquisition of 2012. The Santa Clara-based software firm specialises in automating datacentre hardware, giving businesses an overview of their deployments and helping to provision both virtual and physical machines. After the acquisition goes through – which is expected in the second quarter of Cisco’s fiscal year 2013 – Cloupia employees will be brought into Cisco’s datacentre division, headed up by senior vice-president David Yen. Engineers will then work together to incorporate the technology into Cisco’s Unified Computing System (UCS) Manager and UCS Central, which both teams hope will create a more effective product. “Unfortunately, many IT administrator tools still only solve part of the puzzle, leaving much of their work reliant on tedious manual operations,” wrote Hilton Romanski, vice-president and head of corporate business development at Cisco, on the company’s blog. The news came just 24 hours after Cisco announced its financial results for the first quarter of its 2013 fiscal year. 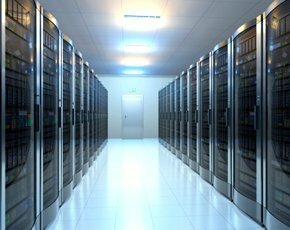 Profits jumped 18% year-on-year, with the datacentre division being the most successful, growing revenues by 61% to $417m. Sales in Europe remained flat, however, despite accounting for $2.84bn of its $11.9bn revenues for the three-month period.